Last week Microsoft hinted and showed several trends at Microsoft Ignite, their conference that showcases the company’s enterprise products and services and provides IT training. If you ever thought Microsoft was lacking in ability or coolness, you should probably think and look again. Teams just leapfrogged Microsoft into one of the coolest, practical platforms an enterprise-style business can use while being confident of security and ease of use. 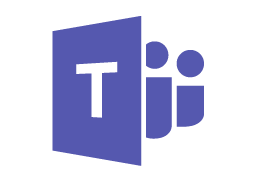 Microsoft Teams allows you to bring together conversations and content in a single app. Basically, anything you want can be accessed in Teams. The basic principle is to have one place for all communication needed internally and externally when working with a team. If you properly implement SharePoint, it will transform your company’s productivity. Employees will be more efficient, you’ll have better access to your company’s data, and you’ll be able to better report on key metrics. HingePoint’s custom SharePoint solutions have helped many companies struggling with unorganized data and manual, multi-step processes. Those same customers have transitioned into a more organized, productive organization by eliminating busy work and easy-to-find and search information.